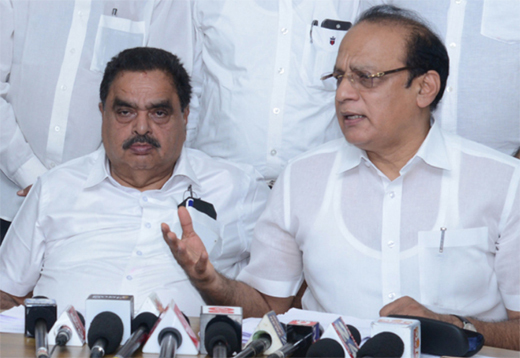 Mangaluru, July 28, 2015: Briefing media here July 27, Urban Development Minister Vinay Kumar Sorake said the Centre has selected 25 cities of Karnataka which have more than one lakh population including Mangaluru and Udupi for Atal Mission for Rejuvenation and Urban Transformation (Amrut). He also said under the scheme for effective management of growing urbanisation, the Centre would release Rs 100 crore and the State release the same amount. Under Smart City scheme, the Centre has allotted six permissions to the State based on population. As per guidelines, city corporations should have facilities like underground drainage, 24-hour drinking water supply, solid waste management e-governance and so on. All 11 city corporations will submit details about available facilities within two days and based on it, six cities would be selected for the scheme. Under the scheme, the Centre and state governments would provide Rs 500 crore each respectively in five years. The government has decided to merge the Centre and State schemes for comprehensive effort to meet the demand of middle class. The Centre gives Rs 2 lakh subsidy, State government can offer Rs 1.20 lakh under Basava Jayanthi scheme, loan of Rs 2 lakh can be availed and beneficiary should invest Rs 80,000. This would provide housing in flat system and each house would cost Rs 6 lakh, he said. He said Karnataka Town and Country Planning (Amendment) Bill to increase TDR - Transfer of Development Rights value has been passed in the Assembly already and it will be tabled in the council. TDR is implemented in Mangaluru and Bengaluru, but it is not sufficient. Through the amendment, TDR will be increased from 1.5 times to two times of land value. The government will give one part of the value of property in case of buildings. Sorake said that the ’A’, ’B’ and ’C’ grade employees for the municipal corporation would be recruited through KPSC - Karnataka Public Service Commission and the ’D’ grade workers would be appointed directly by the department through DCs. Under the Nagarothana project, the department has given permission to Deputy Commissioners to take decisions, if the projects are below Rs 1 crore. The government has decided to change lake cess according to guidance value of the land. At present, the lake value is Rs 1 lakh both for Bengaluru and for other cities. The revenue department has got the permission of the Governor to implement 94CC and title deeds would be distributed to those who have constructed houses in government land.